Located in Lucknow, the capital of Uttar Pradesh, Integral University is a popular private university in the region. 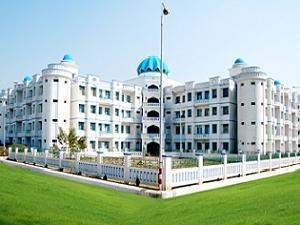 It was originated as the Institute of Integral Technology, Lucknow in 1998 and later converted into a University. The University offers both regular and distance education courses. The Open & Distance Learning (ODL) System of Integral University is recognized by The University Grants Commission (UGC)-Distance Education Bureau (DEB) to offer distance education courses in the assigned territory. Integral University focuses on providing higher education to those students who want to improve their qualification with an aim to enhance their career but can not join a regular degree program. The university offers the following courses under the Open & Distance Learning (ODL) system. Apart from the general MBA course, the university also offers the following specialized MBA courses. The MA-Education is a 2 years post graduation course. The MCA and M.Sc Computer Science are postgraduate courses and the duration of the courses are 3 years and 2 years respectively. The BCA and B.Sc Computer Science are undergraduate courses and the duration of both the courses is 2 years. The university keeps updating the syllabus of the courses time to time to keep them updated with changes in industrial requirements. If you need any assistance after joining any course, The University provides assistance through their website, call center, software, counseling, and grievance redressal system. Audio-Video lectures are also provided to give in-depth knowledge about any subject. As per the official website of Integral University, they also offer job assistance to the students who take up their distance education courses. As of now we don't have any data about how much students get a placement through the University. The fee structure of distance education courses offered by the Integral University is quite affordable. In the below image you can see the fee structure of various courses offered by the university. The above-mentioned fee doesn't include the admission fee and lateral admission fee. The admission procedure for Integral University Distance Education Courses is simple. All the students who meet the eligibility criteria for the particular course can apply for admission by filling up the application form available in the prospectus. After filling up the application form, a student is required to send the 500/- DD as admission fee along with the admission form and other required documents and course fee. There are two admission sessions every year i.e Summer Session and Winter Session. Students can apply for admission in any of these two admission sessions as per their convenience. Students get direct admission in all the courses offered by the University except in MBA and MCA courses. For more details about the courses and admission, students may contact on the following address.